A year long journey into the world of God's word, this devotional Bible will guide you through the Bible with daily readings made to help you digest and understand it to new depths. Want to read the Bible? All of it? The One Year Bible which helps people read the entire Bible in one year in as little as 15 minutes a day, has a fresh, new look. The One Year Bible guides readers through God's Word with daily readings from the Old Testament, New Testament, Psalms, and Proverbs. NLT One Year Bible by New Living Trans 2 was published by Tyndale House Publishers in March 2007 and is our 2112th best seller. The ISBN for NLT One Year Bible is 9781414302041. 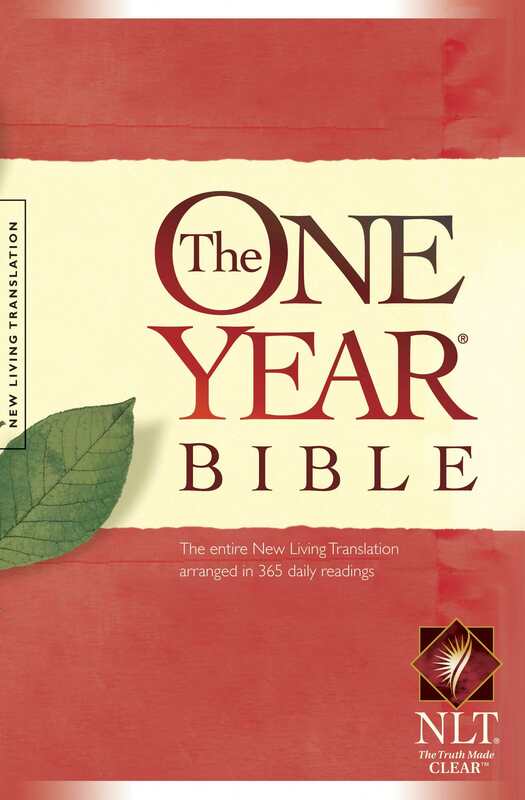 Be the first to review NLT One Year Bible! Got a question? No problem! Just click here to ask us about NLT One Year Bible.